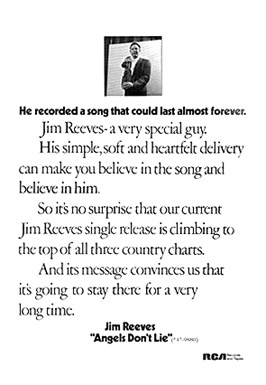 AD FOR "ANGELS DON'T LIE"
Back in the days when Jim had a record company that really believed in him, ads like these were common in the trade publications. This full page ad appeared in Cash Box magazine. (The reference to "all three" country charts means Billboard, Cash Box and Record World).